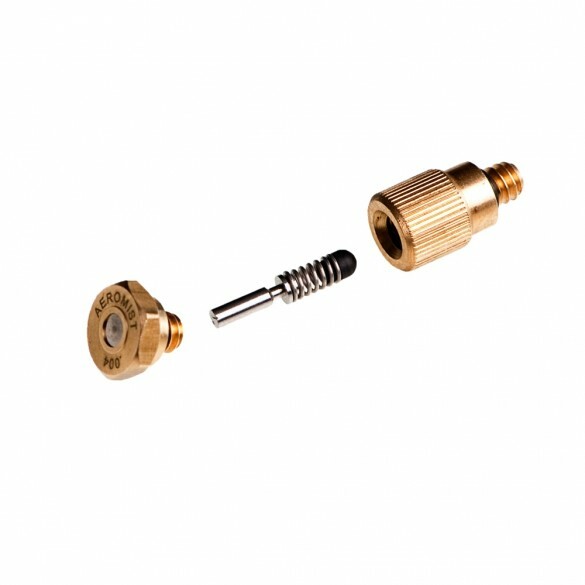 Quick Overview: Ultra-fine atomizing brass nozzles that can be hand tightened and seal with an O-Ring. The nozzle is designed with a ball and spring to stop the flow of mist once the water source is shut off. The nozzle can be disassembled for easy cleaning.